home / Multimedia / The Holy Land in videos / Mount of Olives project: new life for the Dominus Flevit ..
Six students in training, a place that attracts people from all over the world, a sanctuary in the middle of the history of Christendom: the new restoration project for the Dominus Flevit sanctuary on the Mount of Olives in Jerusalem began in this context. 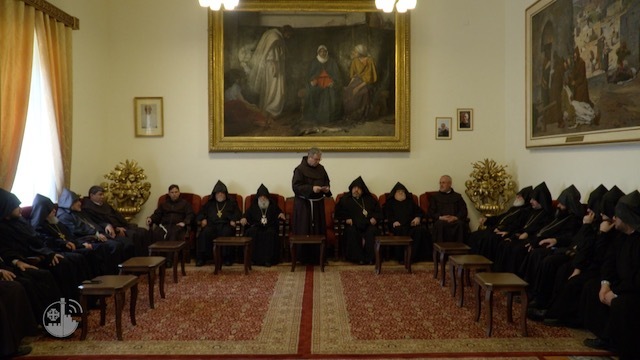 The Pro Terra Sancta Association is carrying out the work, along with the Mosaic Centre of Jericho, the training institute specializing in mosaics that was begun by Franciscan archaeologist Fr. Michele Piccirillo, and with the contribution of the Municipality of Bronzolo (Italy) and the PMSP Program of the Italian Consulate of Jerusalem. 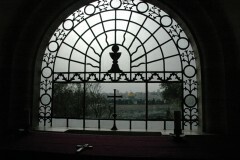 The restoration and training activities at the Dominus Flevit are part of the larger project called “Mount of Olives“. It foresees a series of restoration and conservation actions in these Holy Places, involving the local community, in order to increase the attention of young people to their historical and cultural heritage and create opportunities for sustainable development.